Wayne was hired as the first full-time technology professional for the Green Bay Packers in 1993 and is responsible for all technology within Lambeau Field and associated properties and buildings. He guided historic Lambeau Field renovations and technology improvements, including: distributed stadium audio, new scoreboards and control room, South End Zone general/premium seating, and concession POS systems. He also led recent renovations (stadium-wide Wi-Fi and DAS, Packers Hall of Fame, Pro Shop, Johnsonville Tailgate Village and Suite/Club). Current projects include Titletown District Park and Plaza. Wayne is a Two Rivers, Wisconsin native and a graduate of the University of Wisconsin-Green Bay with a BS in Business Administration and Computer Science. Bernd Huber joined Northwestern Mutual in 2015 as the Director of the Enterprise Cyber Security division. 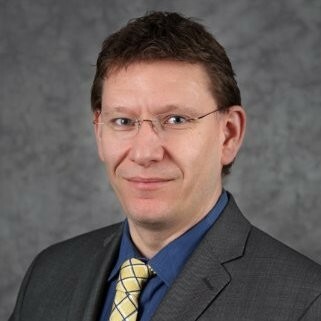 In this role Bernd is responsible and accountable for the Vision and Strategy of the Cyber Security program, including Infrastructure Security, Compliance and Identity Access Management for the company. 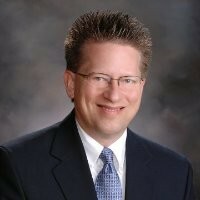 Prior to joining Northwestern, Bernd served as Director of Information Security at Rockwell and Sealed Air and held a variety of information technology roles at GE Healthcare.